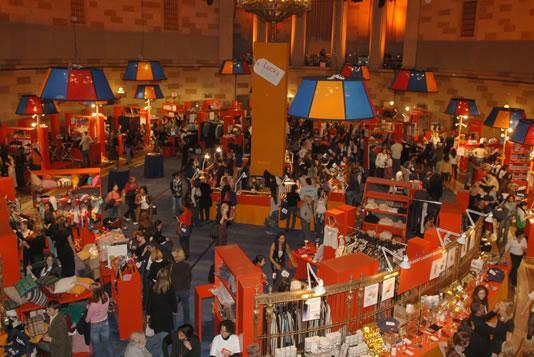 The giant two-day shopping paradise event hosted by Lucky Magazine and attended last year by nearly 5,000 eager shoppers is on again in two weeks time at Gotham Hall in New York City! The event features a wide range of favorite fashion, shoes, handbags, jewelry and accessories at up to 70% off retail from designers and shops from around the globe, including Catherine Malandrino, Daryl K, Foley + Corinna, Inhabit, Jill Stuart, Jovovich-Hawk, LaROK, Marc by Marc Jacobs, Mike & Chris, Mint, Rebecca Taylor, Sass & Bide, See by Chloe, Tevrow+Chase, Theory, Tory Burch, Twinkle by Wenlan, Botkier, Bruno Frisoni, Jacqueline Schnabel, Jean-Michel Cazabat, Lauren Merkin, Sigerson Morrison, Bing Bang Jewelry, Edge NY NoHo Designers, Exhibitionist NYC Jewels, Giles & Brother by Philip Crangi, Helen Ficalora, Karen Karch, Lee Angel, Miguel Ases, Pippin Vintage Jewelers, TENTHOUSANDTHINGS, Bef Du Suede, Solstice Sunglass, Boutique, Asics, Chocolate Bar, Elizabeth Arden, Helio™, Lacoste, Tassimo, 7 for All Mankind, AG Adriano, Goldschmied, Earnest Sewn, J Brand, Rock & Republic, Serfontaine and more! In addition to fantastic shopping, attendees will enjoy complementary cocktails, great music, sponsor giveaways and a gift bag packed with terrific products and samples estimated to be worth $100+. 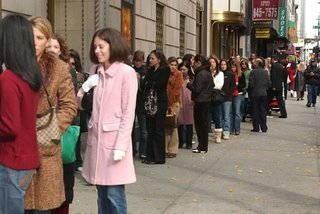 So get ready to score heavily discounted current as well as off-season merchandise from fabulous designers and shops from New York City, L.A., London, Hong Kong and more. Info: For tickets and further details visit Lucky Shops.